He did his schooling at the Cambridge Matriculation Higher Secondary School, Lloyds Road, Chennai, Tamil Nadu and the prestigious St.Bedes School in Chennai. He made his acting debut in 2007, starring in the Telugu film Godava under his father's direction opposite Shradha Arya, which didn't do well at the box office. 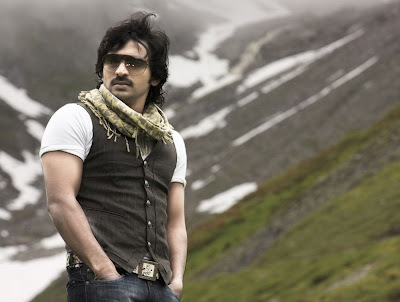 He next starred in the Tamil comedy-thriller film Saroja alongside Siva and Prem Ji Amaran. The film, a Venkat Prabhu directorial was a critical as well as commercial success, bringing fame to Vaibhav. He worked with the same team again in another comedy film Goa that released in early 2010. The Film was eagerly awaited and was an instant blockbuster. His next release was Easan by noted director M. Sasikumar, the movie was a moderate hit. The next movie Mankatha was also by Venkat Prabhu, the movie had the leading role played by Ajith Kumar alongside Arjun Sarja.The film released generally to positive review while marking the second highest-grossing opening for a Tamil film and become big blockbuster.